A screenplay for a short film is now being concluded. 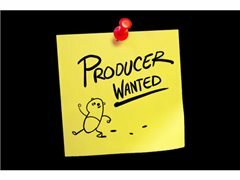 For the words to be translated onto the big screen, we require an experienced producer! The film would take place in Berlin during the year of 1939 telling the story of a cafe owner who is not one to politicize, but due to unfortunate events, he is forced into unwanted actions. As a producer, your job would include many things such as to perform management activities like budgeting, scheduling, planning, and marketing and determine production size, content, and budget, establishing details such as production schedules and management policies. 1. Monitor post-production processes in order to ensure accurate completion of all details. 2. Perform management activities such as budgeting, scheduling, planning, and marketing. 3. Determine production size, content, and budget, establishing details such as production schedules and management policies. 4. Organize the best ways of publicity for the film.